Worse yet, there are instructors in the world who are actively telling their students to look at their horses. This is nothing less than destructive to the student and horse’s learning process. It isn’t only poor form, it inhibits effective communication with the horse. The eyes are the first component in establishing a good position. When I speak of “a good position”, it’s not in reference to what looks “correct.” It’s in reference to what is effective. Your head follows your eyes, and your body follows your head. 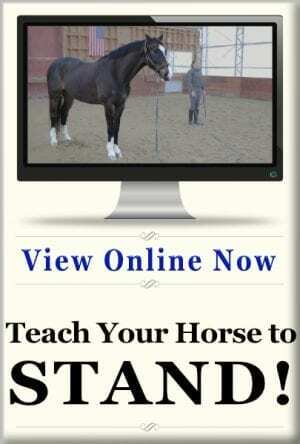 That means if you are staring at your horse, your head will tilt forward, and the shoulders will follow suit. Once your shoulders roll forward, you begin to pitch forward in your seat. As your body pitches forward, you back muscles flex, and weight is pulled out of the seat. As your body tips forward, the muscles of the back must engage to maintain the position. That slouched position locks up the shoulders and elbows, making them less flexible. You also give up valuable leverage and stability which takes away from your clarity of communication. 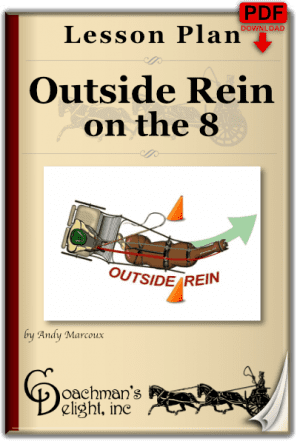 All of these factors reduce your quality of contact, not only for your communications to the horse but in your perception of the communications returning to you through the reins. Since your back and shoulders are already flexed to maintain this body position, you perceive that the horse is heaver in the reins than he actually is. 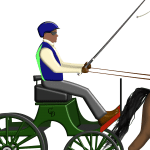 With horses that are in fact heavy in the reins, you’ll be sure they are trying to pull you out of the carriage. At the other end of the spectrum, if your horse is light in the reins, you’ll often lose contact without even knowing it. If your instructor is constantly begging you to take more contact, when you are sure you’re already using too much contact, your body position may be part of the problem. As you sit up, your back relaxes, and weight is transferred to the toe board. 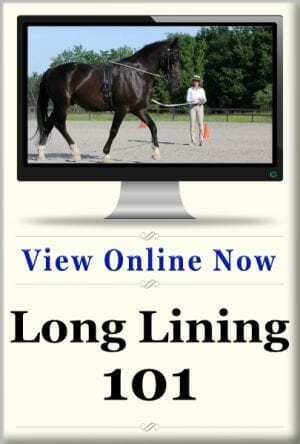 Picking the eyes up to a focal point well ahead of your horse brings your chin up. That doesn’t automatically correct your whole body position, but it makes sitting in better position easier. You will still have to remember to rise from your chest, then roll your shoulders up and back to put yourself in a more effective body position. 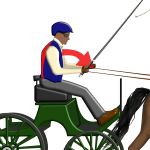 Finally, a slight tip back secures your position in the carriage and improves leverage to allow your communications to transmit through the reins loud and clear. Of course, there are more good reasons to raise your focal point. Watching the horse as he moves is like reading yesterday’s news. What you see between the shafts is simply the result of something that you already did or communicated to the horse. It is your horse’s reaction to what just happened. Yet, when you watch your horse, it’s almost impossible for you to not react to what your horse is doing at that moment. If your horse shows tension, you’ll react with tension. If he begins to over-flex, or counter-bend, you can’t help but try to fix that then and there. On top of that, you are not focused on the movement to come. Instead of showing your horse where his balance should be for what he is about to do, you’re trying to fix his balance in the moment. Now you are literally driving or riding in the past because you are reacting to your horse’s reaction! When you put your focal vision on the place you are trying to go, your reflexes become tuned to getting to that place in the world. You notice the moment the horse begins to move in a way that doesn’t support your goals. If there is a movement that doesn’t support reaching that place, your body responds instantaneously with a course correction. 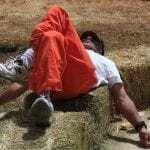 When things are going well, your body relaxes avoiding any interruptions getting where you intend to go. Focusing on the horse causes you to react to the horse. 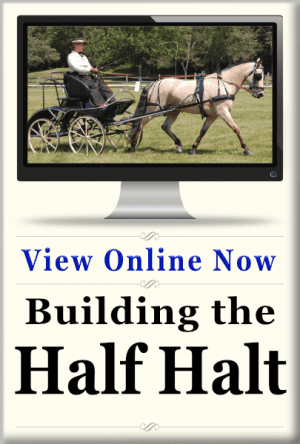 Whether you are sitting in a carriage or sitting in the saddle, you can see your horse no matter where you’re focusing your vision. Just about anywhere you look, your peripheral vision is still taking in what your horse is doing. In fact, your peripheral vision takes in far more detail than you give it credit for. Instead, focus on where you want to go. Your peripheral vision can still let you know what the horse is doing. When I’m teaching my students about this, I like to do a little experiment with them. 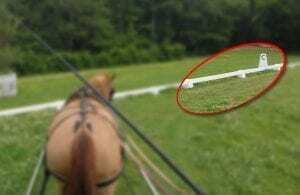 While the horse is standing, I walk to a place in the ring about 70º off to the driver’s side away from their horse. I ask the student to look me in the eye, then tell me what their horse is doing. They can see which direction the horse’s head is facing or if he raises his head and they can even see if he shifts his balance as he rests a foot. All of the information about what your horse is doing is entering your awareness through your peripheral vision 100% of the time you are driving or riding. The great thing is, that information bypasses the messy and often inaccurate cognitive thought process. It plugs directly into your nervous system allowing your subconscious coordination to handle things. That part of your nervous system is much better at small, subtle corrections and adjustments. 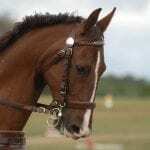 It also allows you to focus more clearly on what you’ll want your horse to do in the next moment. Of course, you are going to look at your horse from time to time. It’s almost impossible not to. You certainly can look through this website and find plenty of pictures of me with my eyes on the horse! A glance here or there is useful and necessary. But don’t let your horse be your focal point. You can accomplish much more by putting your eyes where you want to go next. Getting your eyes in the right place when you drive will start a chain of events that ends with a pleasurable and successful drive. Your posture will improve, thus allowing your hands and arms to be supple. Your intention will be focused on what you are trying to accomplish, rather than what is going wrong. Small adjustments spurred by non-cognitive thought will replace reactive driving or riding. Your horse will respond better to your more accurate communications. 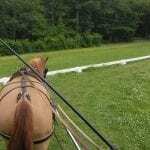 In the end, you will be a safer equestrian who gets to enjoy a whole lot more of the joy of carriage driving or riding. I was taught this when learning to drive a car. Focus as far down the road as you can, and your driving smooths out, and becomes much less “busy.” You make all the small corrections without even thinking about it. It’s just as true with riding or driving a horse. The one thing I feel I have to do is make sure of the footing for the horse ahead of time so I’m not having to watch for gopher or woodchuck holes. Very true. Pretty much in just about any activity or sport, getting your eyes ahead will smooth things out. And don’t worry, your horse see’s more of the footing than you think. They’ve usually spotted the poor footing before we even know it’s there! Andy does this apply to cone driving too? Absolutely Susan! Even more than when you are doing ring work. Putting your vision, attention, and intention well ahead of your horse is critical to driving through any sort of obstacles. Look where you want to go rather than at what you don’t want to hit! I struggle with this while driving my pony. Do you have any exercises that you suggest to help me get my focus where it belongs? You might like the Zen Circles lesson plan that I posted recently. 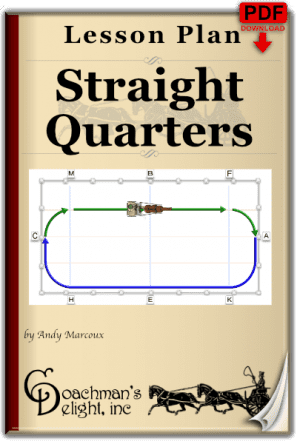 That lesson plan is very much geared toward getting your focus and attention way ahead of where you’re driving. Once you’ve played with that a little, set up the Field Goal exercise, with the Zen Circles in mind. 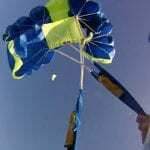 IT’S REALLY FUN!! Keep up the good work! 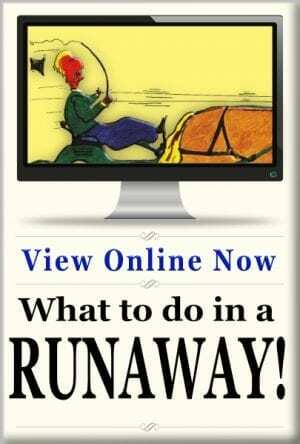 I am finding your online seminars as well as videos and articles so informative! Thank you!